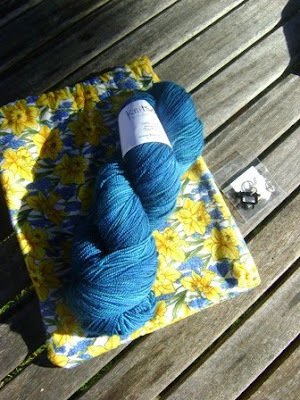 This year, after releasing my Little Hoodlum pattern I rewarded myself with joining my very first yarn club. 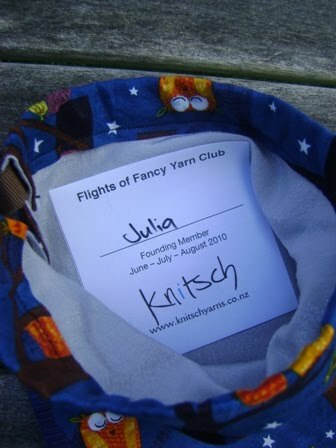 Tash from Knitsch was running her very first yarn club too - and I loved the sound of it and the choices club members would be offered and so signed up. 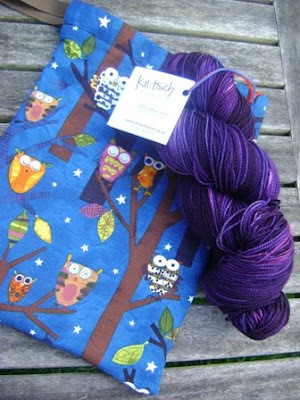 I've bought a few other skeins of 4ply Knitsch before and love them and was keen to add a few more of them to my stash. So, now that it's all done and dusted (apart from me knitting them all up) I thought I'd share my gorgeous packages! I should mention too that Tash offered people a 'mystery escape' option, or a 'plan ahead' as each month she dyed 2 colourways, one semi-solid and one variegated. 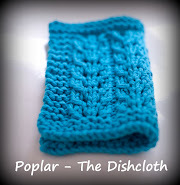 I'm a surprise me type person, but I do love semi-solids at the moment so just to be difficult asked if I could just get the semi solid option each month. 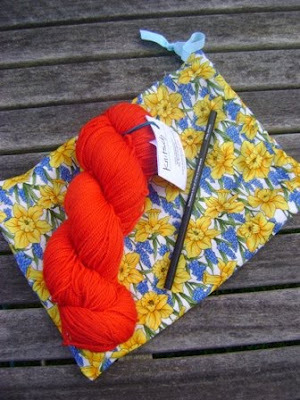 A WIP bag, 2 supervery stitchmarkers, 120gms of 4ply merino in the semi-solid colurway 'Peacock in the Parlour' and a pattern for some fabulous handwarmers. I am someone that normally suffers from things like food envy when we're out for a meal - but I have to say I LOVE all the yarns I was sent and am really really pleased with them. Tash has said she's going to be running the club a little differently next time around - but I'm hoping to have knit some of these beauties up so I can justify signing up again next time! 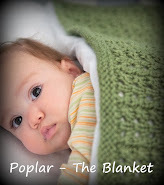 Hi there, this is a lovely blog, we'd love to have you over at http://kiwimummyblogs.blogspot.com/, email me on kiwimummyblogs@gmail.com if you're keen!